This program can keep Dolby True HD 7.1 audio when ripping Blu-ray movie to Asus O! Play Mini V2. It can convert Blu-ray to MKV with lossless video output and multiple audio & subtitle & chapter markers preservation. 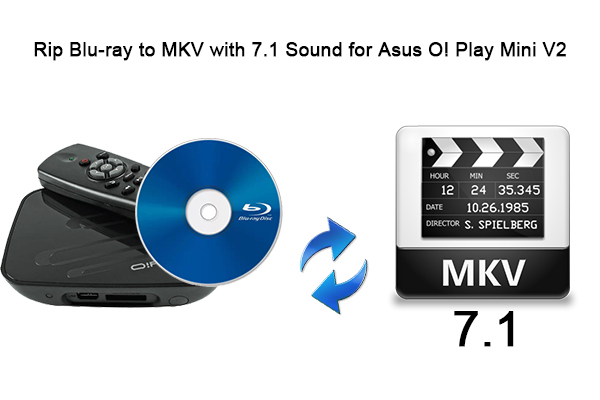 How to Convert Blu-ray to MKV with 7.1 Sound for Asus O! Play Mini V2? Run Pavtube ByteCopy (reasons to choose it) and click the “Load disc” icon to import movie files from Blu-ray Disc. Click “Format” bar to choose the output format. 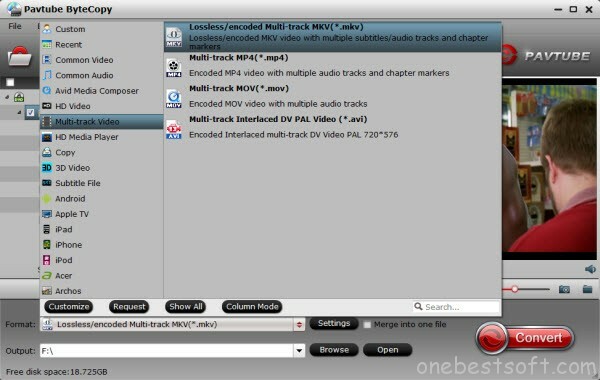 To preserve riginal Dolby TrueHD 7.1 audio for Blu-ray movie ripping, just select “Lossless/encoded multi-track MKV (* mkv)” from “Multi-track Video” quality in “Format” box. Make sure the original BD disc does contain Dolby TrueHD audio, otherwise you still can’t get Dolby TrueHD 7.1 audio saved. Tip: If you want to customize your own video you can click“Settings” option, which allows you to make adjustments on your audio, video, subtitles. It’s worth mentioning that, by default, all audio & subtitles tracks in a source file are checked to be saved in the MKV container, if there are some tracks you don’t like, you can go to Multi-task Settings window to uncheck and remove them under Audio tab and Subtitle tab. 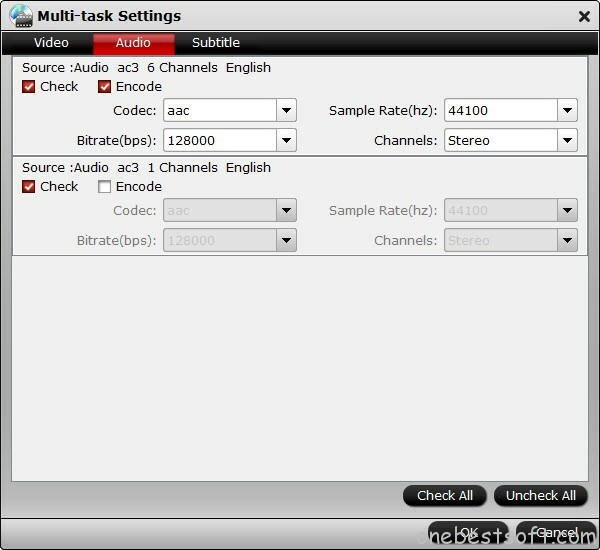 Just keep your desired Dolby TrueHD 7.1 audio channel. DVDAid for Windows/Mac – Capacity of ripping copy-protected and homemade DVD to iPhone 6S, iPad, Surface Pro, Synology NAS, Seagate Wireless Plus,http://www.ecardmax.com/hoteditor/styles/office2007/switch_richtext_off.gif etc with suitable format. 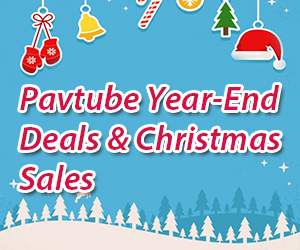 Pavtube Video Converter for Windows/Mac – Function of converting Blu-ray/DVD, 4K/SD/HD video in any format to nearly all popular video format you have ever seen. Copyright © 2009-2017 Pavtube Studio. All rights reserved.